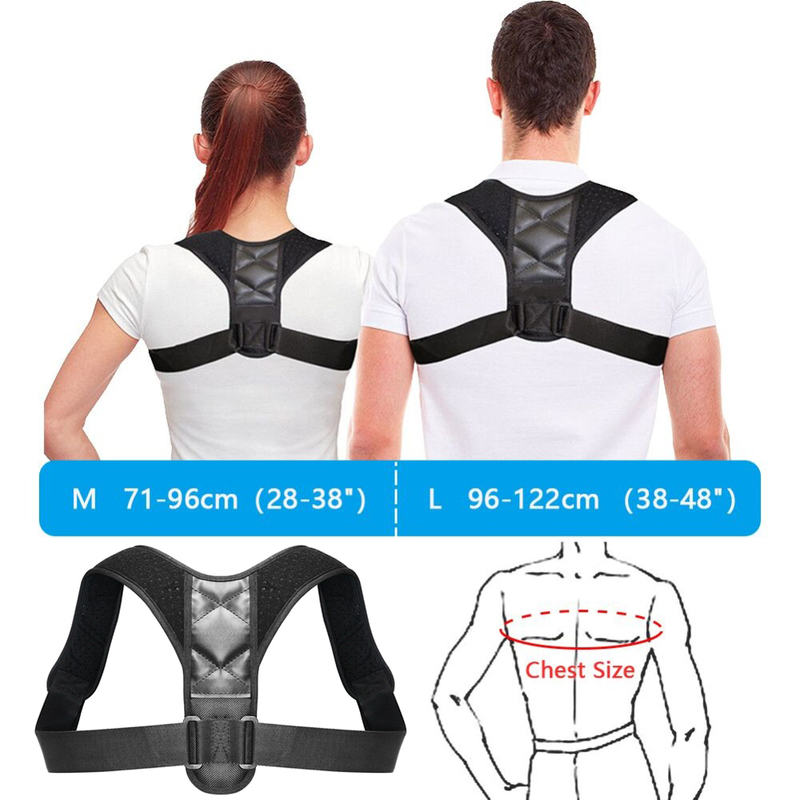 ADJUSTABLE SIZE–2 Size Available.Figure 8 Back Posture Corrector with breathable and latex-free adjustment strap. OVERALL CORRECTION–Shoulder Support Brace Pull back your Upper Back to the right position. And then improve your whole body posture during work or life. USE ANYTIME- It can be used anytime anywhere, whether you are driving or sitting in front of your PC. You can wear carrying out any activity such as gardening or doing house chores. PRACTICAL– It is made from lightweight neoprene material which can be worn over or under clothing. It can easily be put and adjusted. EVERY DAY USE– Can be worn daily. First few of days wear it for 10-20 minutes only, then gradually add 10 minutes each day. Your back and shoulders will slowly adapt to new posture/position and you will build muscle memory for the right posture. Easily get perfect confident posture – start standing, sitting much straighter. Wear all day to retrain your posture- it’s nearly invisible when worn under a shirt. 1. Use cold water hand washing. 3. Don’t use the washing machine dehydration, hot water washing is not available.